Kylie started with a small coffee roaster at home, so she could make her own coffee. But she soon realised that she could use it to roast many things, including cocoa beans. 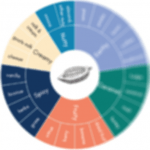 She was fascinated by the range and depth of flavours that could be achieved using beans from around the world, but it was beans from Colombia that really captured her attention. In 2017 she visited the Santander region of North East Colombia, where she met with cocoa growers and established direct trade relationships. They strive to make chocolate that celebrates the origin, story and people behind the cocoa. 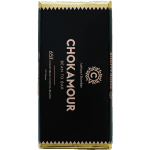 As well as making chocolate bars, Chokamour makes delicious drinking chocolate. Made with pure chocolate, rather than a powder, it is a true indulgence!